2013 was big for Melbourne’s Samual James, with his solo release ‘Mega’ garnering lots of worldwide support. 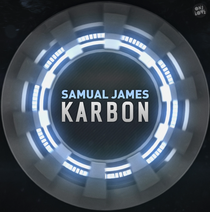 Now, with his latest track, ‘Karbon’, which was recently premiered by Pete Tong on BBC Radio 1, he hits the road to headline the Karbon National tour, heavily supported by his growing number of admirers. His biggest supporter, Australia’s Will Sparks, announced him to be ‘the DJ’ of the future on the mic at EDM Tunes. Now, with major international players like Hardwell, Laidback Luke and Sandro Silva also backing him and playing his tracks, it increases the hype and adds ammunition to EDM Sauce labeling Samual James ‘one of the 10 producers to watch in 2014’. ’Karbon’ is a big room track full of booming kick drums and driving melodic electro drops, check it out below, it’s out on ONELOVE Records.